The Shing sisters of Canterbury, Ellen in 1902-3 ans Maud in 1907. Their father was a draper in the NSW goldfields, their mother was European. Dearly loved Darwin resident, Granny Lum Loy! People shared some lovely memories of her, so we thought we'd try to collect a few more from some old Darwin mob (tag them if you like). What do you remember of her? 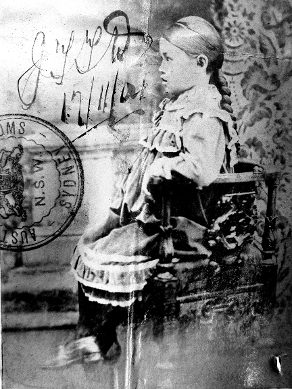 For those of you who don't... Granny Lum Loy was born in China in 1884 moving to Darwin in 1898. 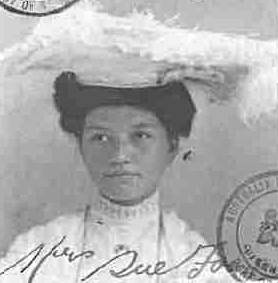 At the age of 17, she married Lum Loy, a mining engineer and they settled in Pine Creek. When her husband died, she returned to Darwin with her daughter Lizzie and established a mango plantation in Fannie Bay. She later had a chicken farm in Stuart Park. 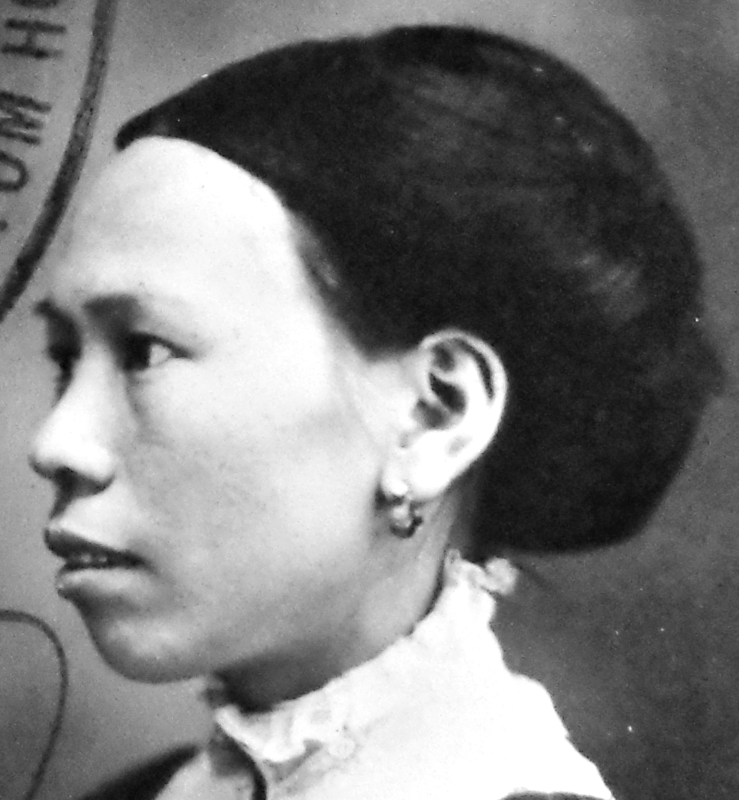 She is often remembered for wearing traditional Chinese trousers, a jacket and hat, and for walking each day from Stuart Park to the centre of Darwin. She lived to 96 years old and her funeral was reportedly "one of the biggest and longest in Darwin's history"
Mrs Ho was more commonly and affectionately known as Mrs Lup Mun, Mrs Lup Mun Por or Cepore (number four grandmother). She was born in China c1869 and was believed to have been a Buddhist nun in her youth. 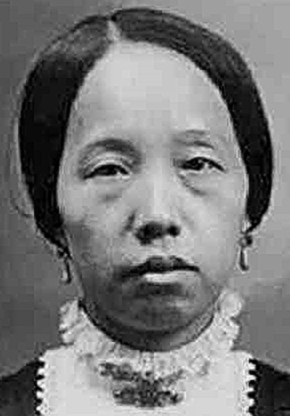 She arrived in Australia c1891 and married Mr Ho, a Chinese herbalist. When he died, she ran and maintained his herbal business, Suey Gee Chong in Celestial Avenue off Little Bourke Street in Melbourne, Victoria. 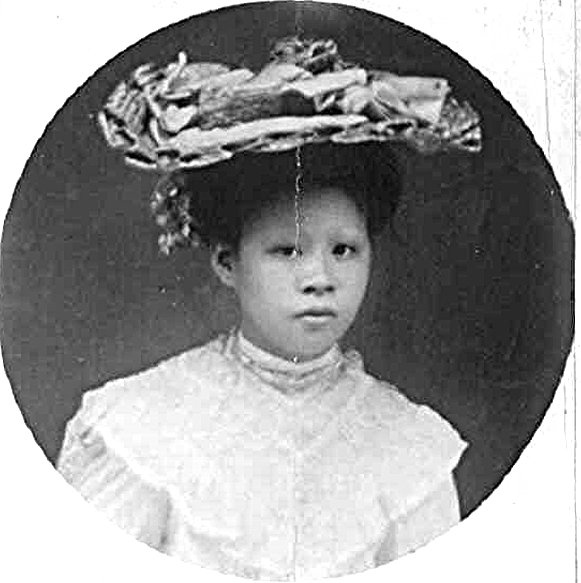 During her time in Australia Mrs Lup Mun made only one documented return trip to China. 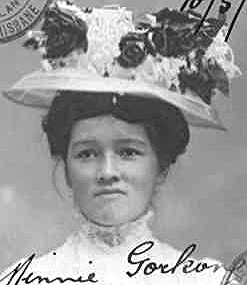 In 1916 she applied for and was granted an exemption certificate but never used it, delaying her trip till 1924. 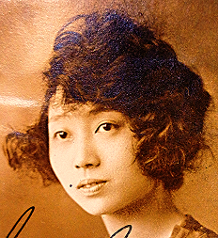 She stayed in China for a little under a year before returning to Melbourne via Sydney in 1925. Suey Gee Chong provided wholesale herbs to Chinese herbalists around Victoria as well as providing a retail and diagnostic service for locals. Their storerooms were rented from the See Yup Society for a time. This makes it is probable that either or both Mrs Lup Mun and her husband were from the See Yup district in China. 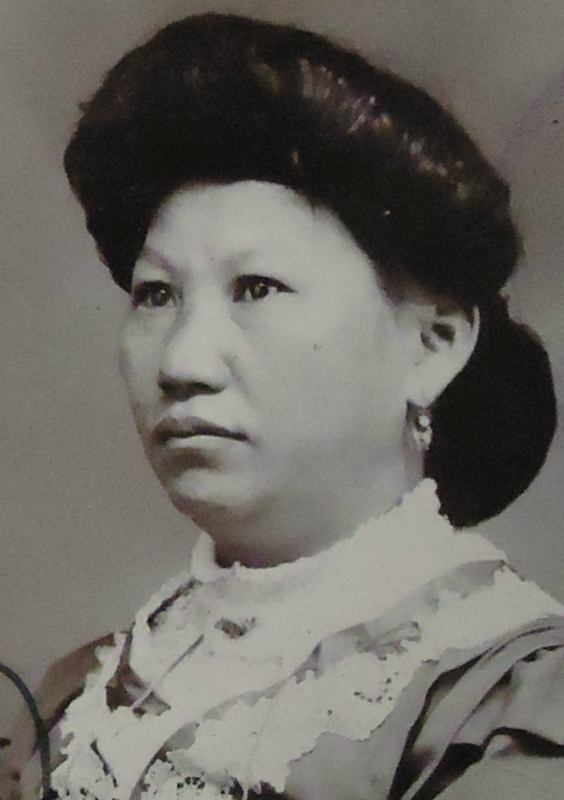 Although Chinese herbalists were not one of the dominant Chinese occupations in Victoria in 1901, they were still a very important part of the Chinese community and some firms, like Suey Gee Chong, became very successful. 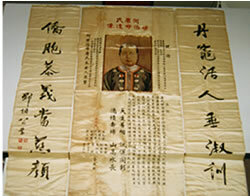 In the Little Bourke Street area, Chinese herbalists were the primary source of medical care sought by Chinese. Demand was strong enough to support a number of Chinese herbalists in the area. Jean Gooey, a former resident of the area remembers Suey Gee Chong as very small and filled with jars and little drawers, just as can be seen in today's Chinese herbal shops. Ron Wong Loy who also grew up in the area remembers the fun he had as a child climbing all over the huge bails and boxes of herbs in the Suey Gee Chong storeroom and also exploring the main shop next door. … a lot of the herbs are made from tree products. They come in stick form. They have this big chopper, like a slicer thing attached by hand… they put the thing through and chop, chop, chop. That was right in the shop where you come to buy stuff. Then they have the brass pestle and mortar for grinding up the stuff. Their cupboards and shelves filled with all the different ingredients. And drawers… Remember pulling the drawers out as a kid. They used to have a cupboard there, in one was a lizard. A sort of spread-eagle one on a frame. A bamboo frame. I suppose they used it to concoct some of the herbal remedies. Bears gall … a horrible looking thing. Black, dried looking thing. Ron then watched them wrap the herbs into little packets made of butcher's paper. 'I used to think they looked beaut'. Sometimes herbs were not taken away but were consumed directly in the shop. Ron and Jean remember they were boiled up on a stove out the back of the shop. A small saucer or packet of sultanas was kept on the counter to be eaten after drinking the herbs to take the taste away. 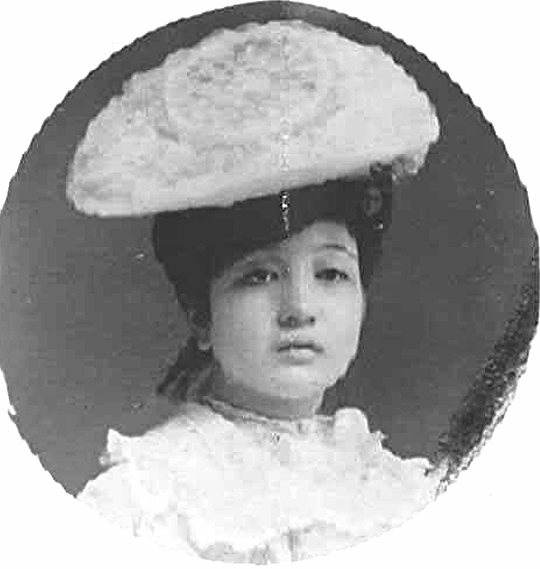 In addition to being a successful businesswoman, Mrs Lup Mun was also a mother and acted as a confidante and social worker to many of those around her. She had at least one child and her grandson, Ho Yik Pang, took over the herbalist business when she died. She applied for permission to allow him to come to Australia to assist in the financial side of the business in 1933 after her previous assistant was forced to eventually return under the 1901 Immigration Restriction Act in 1930. She also adopted a number of orphaned children in the area such as Wing Jang, Leila Young, Mrs Collins and Mrs Kong. In China this role would normally have been undertaken by extended family networks in China. However in Australia, these large extended networks were not present and so Mrs Lup Mun's actions would have been particularly important. Not surprisingly she was very well respected within Chinese community of Little Bourke Street. Ron Wong Loy described her as a 'real character', 'a tiny woman' and 'podgy' with a 'lovely laugh'. He remembers her as being very jolly but also well balanced and sensible. She was a 'sort of mother to many people and lots of folk came to her for advice and things like that'. 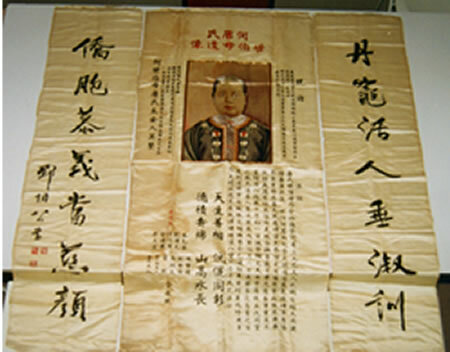 The important position Mrs Lup Mun held within the community as medical practitioner, mother and confidante is illustrated by the elaborate painted silk panels that were created as a memorial to her on her death. 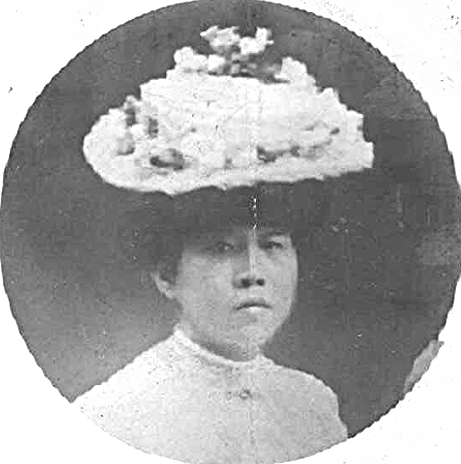 One of the reasons why she chose to stay in Australia after her husband's death, unlike many other Chinese women, may have been the strength of her ties to the Australian Chinese community. Russell Moy, Ron Wong Loy & Jean Gooey, recorded interviews, Australia-China Oral History Project jointly conducted by the Australia-China Council, Museum of Chinese Australian History and the National Library of Australia, Museum of Chinese Australian History collection. National Archives of Australia, B13/0, 1924/14749, 1925/4037 and 1933/23072. Maurice Leong, 'The role of the See Yup Society in Melbourne and Victoria', unpublished paper presented at Chinese Heritage of Australian Federation Conference, Museum of Chinese Australian History, Melbourne, 1-2 July, 2000. Morag Loh, 'A country practice: Thomas Chong - herbalist of Bairnsdale, Victoria; his place, his practice, his peers' in P. Macgregor (ed), Histories of the Chinese in Australasia and the South Pacific: Proceedings of an international public conference held at the Museum of Chinese Australian History, 8-10 October 1993, Museum of Chinese Australian History, Melbourne, 1995, pp.15-28. Sophie Couchman, 'Tong Yun Gai (Street of the Chinese): Investigating Patterns of Work and Social Life in Melbourne's Chinatown, 1900-1920', MA (Public History), Monash University, 2000, p.89. 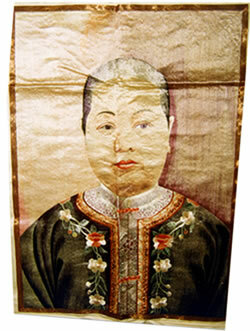 Silk panels of Mrs Ho, Museum of Chinese Australian History collection. Eminent Melbourne entrepreneur and bank director Louey Ah Mouy arranged the sponsoring of his son's 16 year old fiance, Monica Moonie Kang, as a student before their marraige. 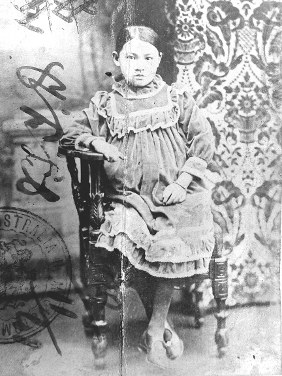 Willie Sun Yow, whose father ran a drapery store in Cobar in NSW, married Yan Kang in Canton, returned and then arranged for her domicile after providing proof of their relationship.